A passionate music lover since she was a child, Claire Spooner aka Just Her, has lived her life surrounded and inspired by music. To her “It’s all about the music, and always has been”. What began with homemade DJ mix tapes led into studies of Creative Music Production and Lecturing in Music Technology, and continued into a successful career as a DJ, musician, and producer. Her songwriting and engineering work with Him_Self_Her first propelled her into the spotlight, the duo’s depth of underground sounds catching the attention of peers and fans around the world. Covering everything from deep and driving grooves to disco enhanced techno, Him_Self_Her’s tracks have spent months on the charts and received plays from some of the biggest DJs in the industry, including Pete Tong, Hot Since 82, Solomun, H.O.S.H. and many more. As Just Her, she is focusing on this new part of her journey with the music, continuing to share the passion that has been a part of her life for so long. Releasing tracks with signature deep sounds infused with emotional and melodic atmospheres, while also touring and sharing diverse and creative mixes, Just Her has kept her momentum as a standout underground electronic music rolling strong. 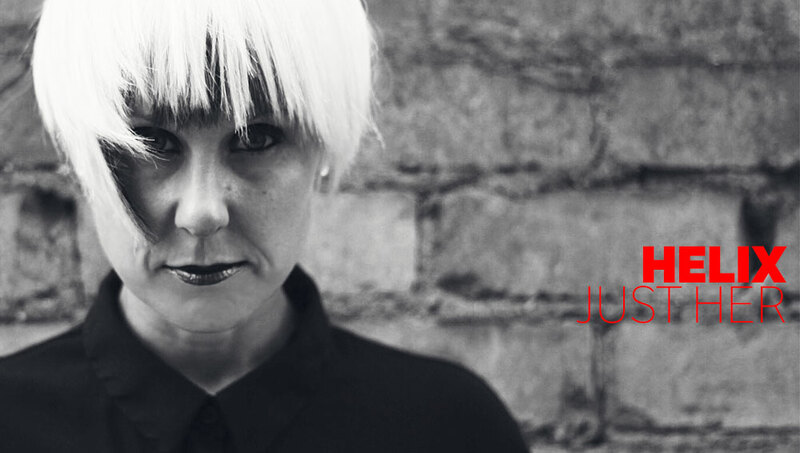 Now launching a brand new show on FRISKY, Just Her will be bringing her depth of passion and relentless dedication to the music to the airwaves every month with Helix. Premiering November 17th at 5PM EST [convert timezone], Helix will be showcasing Just Her’s distinctive talent, style, and energy. Get ready with Just Her’s fantastic Artist of the Week set!